5/9/2017 9:30pm-1:30am Boom Boom Room 1601 Fillmore St, SF, CA 94115 FREE Second night of residency! 4/25/2017 9:30pm-1:30am Boom Boom Room 1601 Fillmore St, SF, CA 94115 FREE First night of residency! 3/16/2017 9pm-Midnight Peri's 29 Broadway, Fairfax, CA 94930 FREE Electric BTB show! 1/8/2017 9pm-Midnight Peri's 29 Broadway, Fairfax, CA 94930 Free Electic Full Band BTB Show! 11/27/2016 8pm Sweetwater Music Hall 19 Corte Madera Ave, Mill Valley, CA 94941 $22 BTB support Tinsley Ellis! 9/17/2016 4:30-9:30pm Matlock Garden House Concert 1509 Broadway Street, Vallejo Ca $15 Suggested Donation Bottleneck Bob and Cory Veltman support. 8/13/2016 6:30-9:30pm Woody & Paula Backyard Concert Series Private invite only event. Contact the band direct via Facebook message for invite. 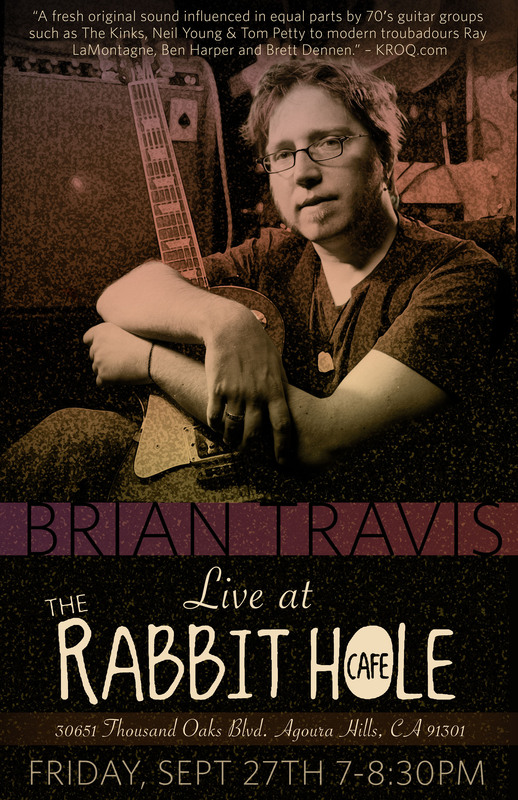 $10 Suggested Donation The Brian Travis Band perform acoustic at a backyard concert series & potluck. 4/12/2016 6-9pm Vendome Wine and Spirits 10600 Riverside Dr, North Hollywood, CA 91602 / Free First full band BTB show in LA in over 2 years! 1/16/214 8pm Cafe Artichoke 3130 SE Hawthorne Blvd. 12/12/2013 8pm Bocci's Cellar 140 Encinal St.
12/8/2013 10am KPIG 107.5 FM Watsonville, CA Free! 11/16/2013 9:30pm Surrey Street Autumn Performance Salon 231 Surrey St.
Agoura Hills, 91301 Nothing! View the show poster! Groveland, CA 95321 Free! In Yosemite!